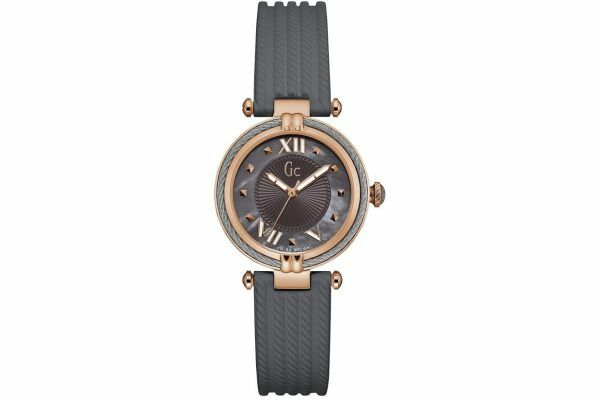 This stunning women's watch is brought to you by Guess Collection as part of their CableChic range. 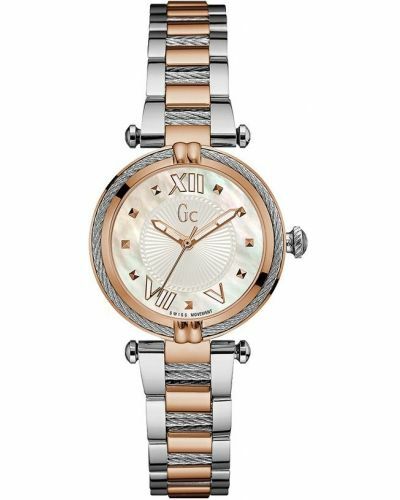 Featuring a round 32mm rose gold plated stainless steel case and cable effect stainless steel bezel; this beautiful watch presents with an alluring grey mother of pearl split level, serrated dial and elegant rose gold hour markers. Simple white and rose gold batons and second hand complete this dial. 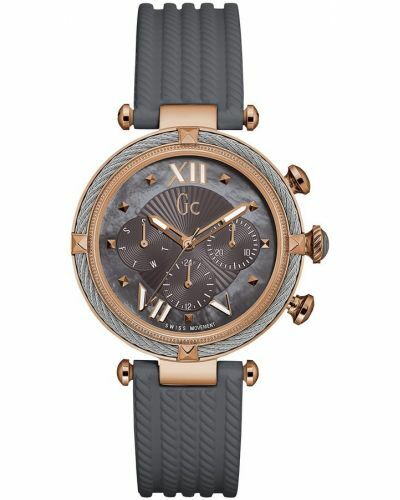 Set upon a striking grey silicone strap with cable effect detailing; the watch dial is attatched through rose gold T-bar fastenening and secured with a rose gold plated buckle. 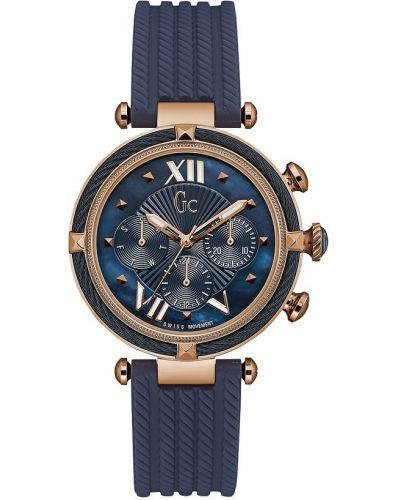 Powered by Quartz movement and protected by sapphire coated mineral glass; the CableChic watch is water resistant up to 100 meters and comes complete with a two year guarantee. For us to size your new GC CableChic watch as accurately as possible, please take a look at our downloadable Watch Sizing Guide.